Natjira received her nursing degree from Huachiew Chalermprakiet University. 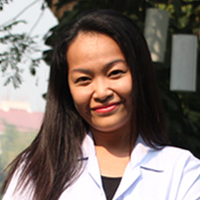 She has over five years nursing experience working in two of Thailand’s most respected hospitals; Bumrungrad International Hospital in Bangkok and the Chiang Mai Ram. Her experience and compassion make Natjira an integral part of the team, delivering quality care to all of our clients at The Cabin.